In 2017 we have seen more Connected Store initiatives than in any other year, and 2018 looks like it is going to be even busier. The Connected Store is the future of all retail and retail-like environments. Everything will ideally become connected and automated to increase operational efficiency and ensure the safety of products. TempAlert’s equipment monitoring provides you with real-time insight into equipment performance across all of your sites. By utilizing the Internet of Things (IoT), stores, restaurants, buildings and other facilities are beginning to connect and remotely monitor all of their equipment using internet-connected sensors paired with operational dashboards and advanced analytics. Many retailers are deploying upwards of 25 sensors per store, and we believe this will double over the next few years. The trend to the Connected Store is being driven by a need for better visibility into equipment performance, food safety, and facilities management. However, visibility is only a means to an end, and the end game is improved employee productivity, improved risk management, and lower maintenance costs. TempAlert’s wireless sensors offer the world’s only 100% wire-free installation with wireless screens for deployment in minutes. Through a new partnership, ServiceChannel and TempAlert are enabling C-Store, grocery store, pharmacy, retail health, and QSR operators to capture additional value from their Connected Store initiatives. TempAlert sensor data can now be seamlessly integrated with the ServiceChannel Service Automation platform. Sensor alerts can automatically create service tickets for equipment performing out of range. For example, wireless sensors in your open-air coolers or hot holding units can automatically detect when equipment is operating out of proper temperature range, send an alert, and instantly generate a service ticket in ServiceChannel’s facilities management software. From there, a work order can be dispatched automatically to the appropriate service provider to remedy the issue promptly. Efficiency: Store employees no longer have to manually enter tickets for equipment service requests that TempAlert is monitoring such as coolers, freezers, HVAC systems, trucks, and CO2 tanks. This allows them to focus on serving more customers, rather than managing facilities. Speed to Issue Resolution: Because the sensors are continuously monitoring equipment, latency is removed from the process. Service tickets are generated the instant equipment records an out of range temperature reading, rather than only after an employee notices an equipment issue and then finds the time to create the ticket. Equipment is back online faster, and a costly food product loss (in the case of refrigeration), or a food safety incident, can be avoided. Proactive Maintenance: Real-time data combined with historical equipment performance accompanies the service ticket and enables corporate facilities managers to make better decisions about when and if to deploy a field technician or replace equipment. Compliance: Through continuous monitoring of equipment, key food safety and pharmacy/healthcare compliance processes are automated. Compliance records are maintained automatically and can be generated on demand during an inspection. Corporate risk managers have visibility into store-level compliance in real-time. 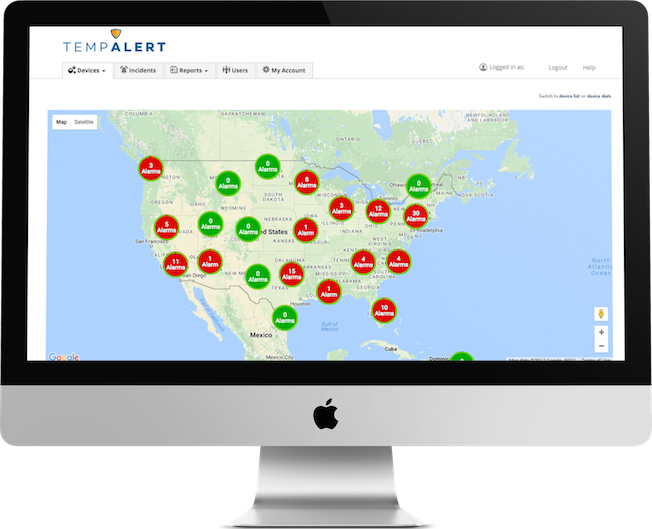 TempAlert’s cloud-based dashboard provides real-time visibility into compliance site performance and risk across your locations. QSRs, C-Stores, groceries, retail health clinics and pharmacies all benefit from the automated workflows that result from the Connected Store and TempAlert-ServiceChannel partnership. 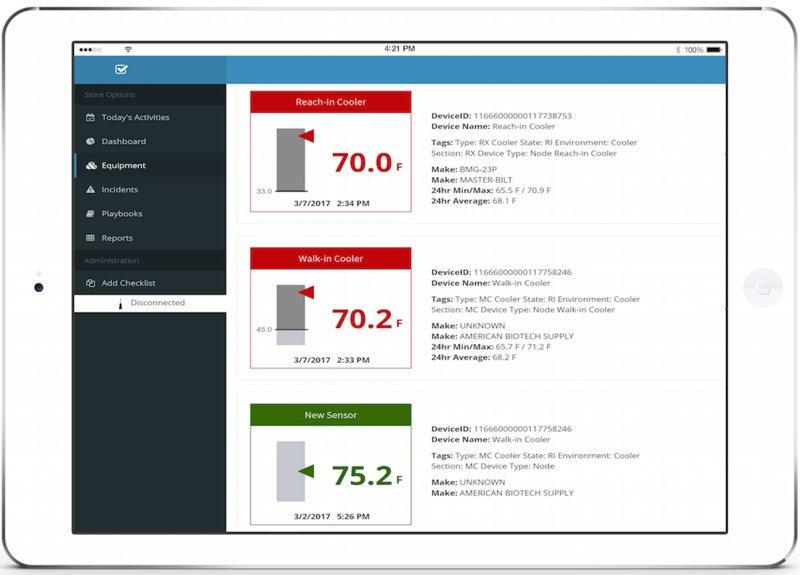 Facilities managers now have an easy path to automating equipment monitoring, improving in-store operations, and resolving maintenance issues more quickly. Compliance professionals now have visibility into store compliance and benefit from automated compliance reporting. Andrew Dougherty is SVP, Sales at TempAlert. TempAlert transforms how organizations sense, monitor, and make decisions. Using IoT-enabled sensors and web-based software, TempAlert automates monitoring for food safety, pharmacy safety, energy management, and preventative equipment maintenance. TempAlert is a ServiceChannel Solution Partner. Please contact Andrew to learn more about our work enabling the Connected Store.